Welcome to the only association that exclusively represents the needs and interests of general dentists in Iowa! Your success, your growth, your patients, and your community are better built with the help of those who have proven to be the best. Welcome to the IAGD, where you’ll find an active, helpful, thriving community of dentists to help you be the best. Take a few minutes to go over the details of our upcoming courses, membership events, advocacy topics, and blog. You’ll get a small glimpse into the organization that will help you grow personally and professionally to master general dentistry. Achieving the goal of Master of the AGD is the most respected and recognizable designations in the dental profession. It’s a significant milestone in a member’s career and clearly establishes a dentist as being dedicated to mastering their profession. The IAGD offers courses in at least 16 different disciplines. This 5 year program will give each participant over 600 hours (with protocol) of PACE approved continuing education credits, of which over 400 hours are participation hours. For those dentists who hold a Fellowship in the AGD, this program contains all of the requirements to achieve Mastership status. 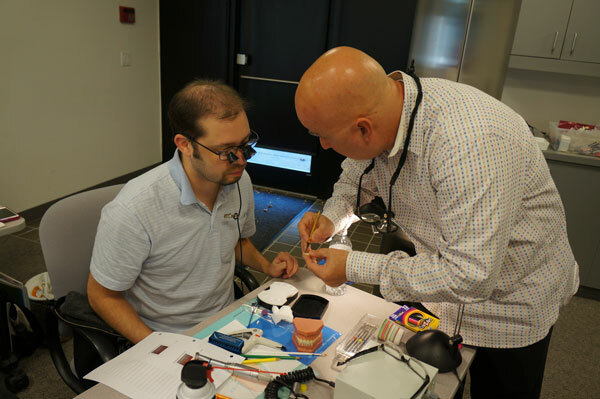 Membership in the AGD provides general dentists, students, and dental team members with the education, advocacy, and information they need to advance themselves in the dental profession while providing their patients with the best care possible. AGD membership represents a dedication to lifelong learning and overall oral health for the public. Learn more today about AGD membership, its benefits, and the success of AGD members. We’d love to welcome you to The Iowa AGD!